The event promises to gather 200 plus exhibitors and 25% of them are international exhibitors coming from different parts of the world. Besides the exhibition, the event also boasts a conference by leading beauty, health, and wellness association of the country. A Dance Convention will take place on the third day of the event, which features education, entertainment and competition. Leading brands and dance experts will participate in the said event. The event are expected to attract 10,000 Buyers. 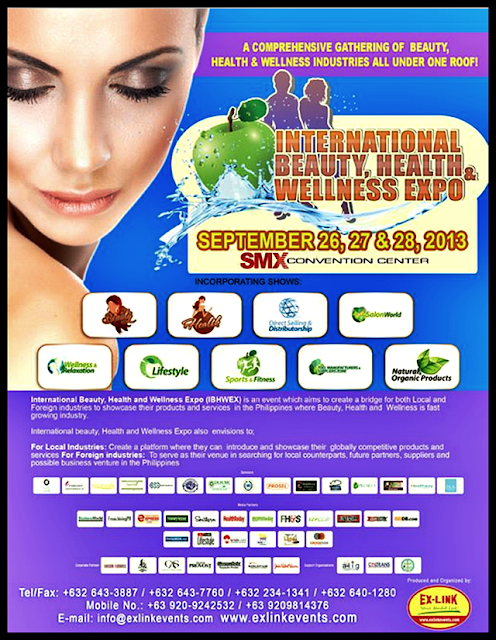 For more information, visit www.beautyhealthwellnessexpo.com.ph , call 643.3887 or email us at info@exlinkevents.com.